Buru volcano is a partly preserved cinder cone which rises 250 m above the surrounding swamps. it is located SW of Pago and SE of Oto. The volcano is named after the Buru river on the south side of the volcano. To the north is a swampy depression called the Buru caldera. The volcanoes in the Cape Hoskins area belong to the Quaternary volcanic island arc that extends from Rabaul in the east to the Schouten Islands in the west. The volcanoes overlie the northerly dipping New Britain Benioff Zone. The erupted magmas range in composition from basalt to rhyolite. Buru volcano is formed of dacite pumice and pitchstone (a glassy volcanic rock similar to obsidian). "The three oldest volcanoes, Ko, Husa, and Kapberg, are in a residual erosional stage and are probably similar in age. Ko was active about 900 000-800 000 years ago. 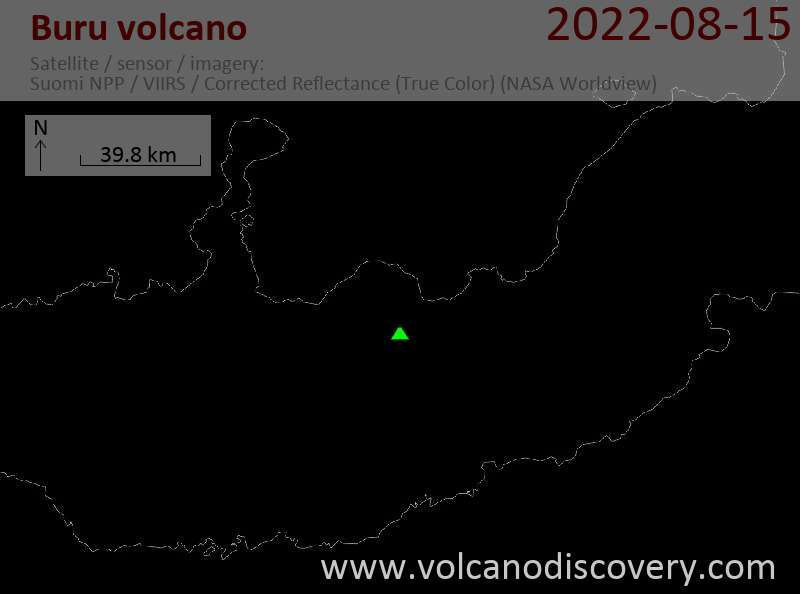 Except for the active Pago volcano, the other volcanoes are in the planeze erosional stage. Of these Busui is overlapped by Oto, dated at about 190 000 years, and Mululus, dated at about 100 000 to 70 000 years, is overlapped by Mataleloch. Lolo, a little eroded cone that may be very late Pleistocene or Holocene, is overlapped by Witori, which has a central caldera formed about 2600 years ago. Pago, inside this caldera, last erupted in 1914-18 and may have begun its activity less than 350 years ago. The remaining volcano, Buru, is probably slightly younger than Witori, which it intersects."